It was one of the hot and humid Sunday afternoons, perfect for one of my do-not-disturb nap times. When I woke up sweating, I knew this was an in-house crime...While I enjoyed my siesta, my 7-year-old sister and 9-year-old brat of a brother would sneak into my room, team up against me, switch off the AC and run away in joy. How much they loved this ‘game’! They hated it when I chose to nap instead of play. My priorities were different and this truly became their best target. When we were even younger, my brother used to be on my side, but in no time—before I realised it— sides changed, for better or worse!I was now the no-nonsense sibling they held their case against. Looking back on the little things we shared, I realise how much siblings truly shape each other just by being themselves. The loss of our mother when my sister was just 4 had changed everything around us. Living in a thoughtful and sheltered environment with my grand-mom and dad taking such good care of us, helped us learn to silently depend more on each other for our joys and sorrows. We learnt from things we not only liked, but also hated in each other. For example, I would swear never to act half as miserly as my brother did each time he had to share some of his favourite food. My sister on the other hand, threw fits of anger every time she was denied anything she really wanted. The word ‘no' was becoming a hard thing to hear, and despite the fact that we knew it was pent up emotion for the loss a little heart suffered, we all succumbed to her tantrums and filled her bucket with toys she would not look at even once. The bitter-sweet memories only bring out the strong shades of emotions we all go through with our siblings influencing each other’s personality and more.Our formative years allowed us to absorb much through what we saw before us than what we heard. This is why younger siblings are usually seen copying mannerisms and behaviours of their elder brother or sister. They like to play with the same toy with which the older sibling would be playing with. That is because they find their role models in them. Every sibling brings out a hidden shade in the other and that's what completes them as partners and friends for life. Why Is Family Routines Important For Child's Healthy Development? My dad’s clear cut rule for us went a long way in keeping the bond between us alive. As children there was one simple rule – Wherever you go, you go together—that compelled us to share secrets, and introduce our friends to each other while maintaining the space we needed. It also allowed us both the freedom we wanted while forewarning each other of anything that didn't feel right. I always felt protected as my brother was like a bouncer walking behind me, which I detested back then, but looking back now I realise it must have saved me from a lot of trouble. Get Your Child Up & About - 8 Household Chores You Can Do Together! Siblings fight – Here is what to do? We learnt values like forgiveness from each other. We also learned to accept different personality traits and cohabit harmoniously. Siblings unknowingly play quite a significant role in teaching each other co-operation, interdependence, acceptance of flaws, acknowledgement of goodness and looking at a point of view apart from ours. Basically, having siblings is nothing less than a fortune. Hold yours close and take all your revenge while you can, because it is when you grow up that you will know nothing gives more pleasure and no one takes it more sportingly than them. Do you have a sibling? We’d love to hear about your favourite stories and memories! Let us know in the comments below! 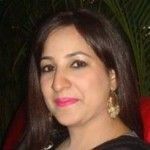 Hi Shweta, thanks for the interesting blog on siblings. Unknowingly we do reflect the mannerisms of our siblings in certain situations. Tween getting out of hand? The 10-s..
Talking To Your Children About Terr..
How do I curb stealing in my child? ICSE, CBSE or IB? How to Choose the..
THEY’LL DO WHAT YOU DO, NOT WHAT YOU TELL THEM TO..
FB, Gadgets, & the Big bad world of confused Innoc..
Meri beti 7. 6year ki hai wo sab kuch khati hai fi..
Mera beta 8 month ka h usko patla potti ho rha h k..
Meri beti bahot inmaychuor behave Kerri hai Jese w..
Meri beti 1year ki hogayi h wo 2 fingers dale rhti..
Kindly tell me is this is good or bad to allow gam..